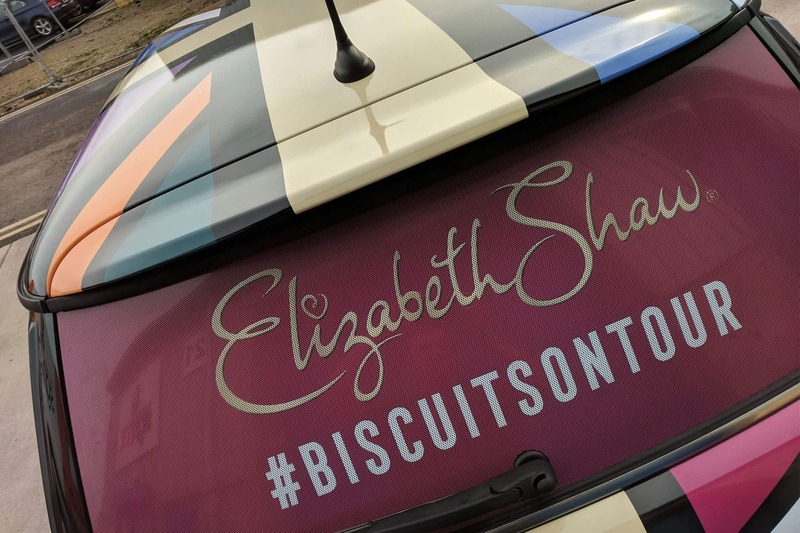 Bite Brands, a Bristol-based marketing agency, approached us to help realise a project (a Mini full wrap) for Elizabeth Shaw Biscuits – “#biscuitsontour”. 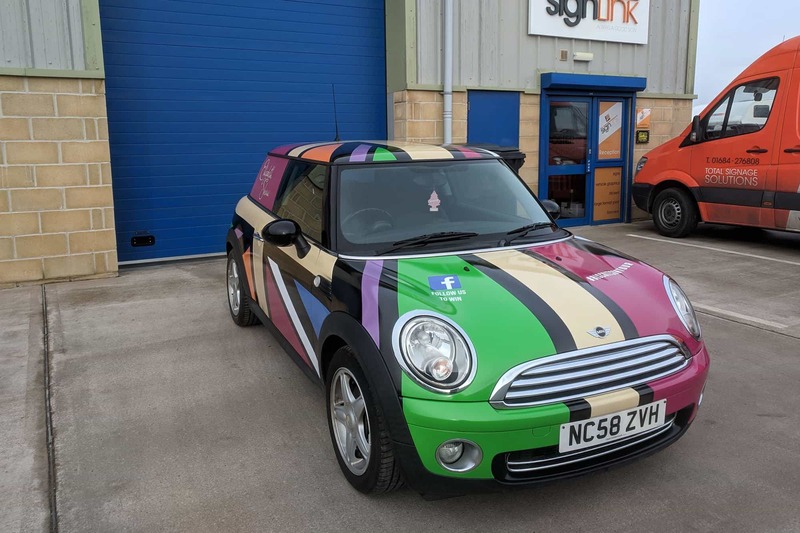 The initial idea was to place a multi-coloured union flag over a Mini to match their branding colours using printed wrap material. 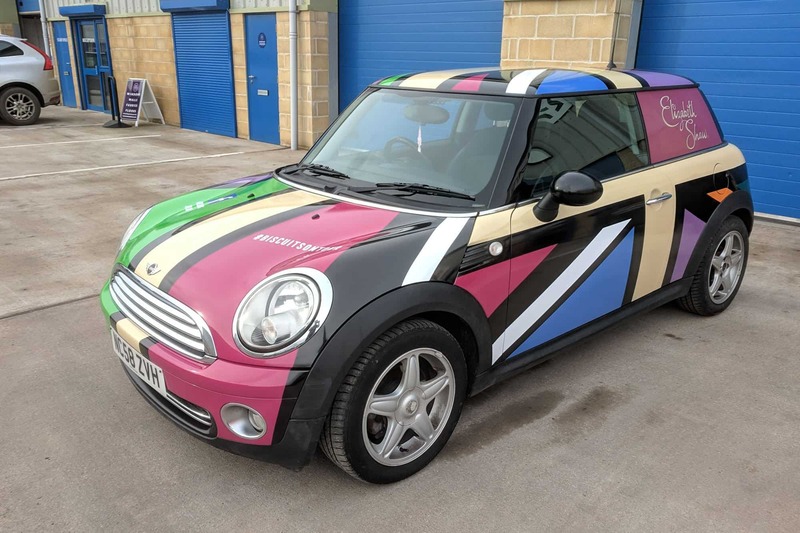 The design needed to show the flag from all angles but also allow the colours to be seen over the curvy shape of the Mini. 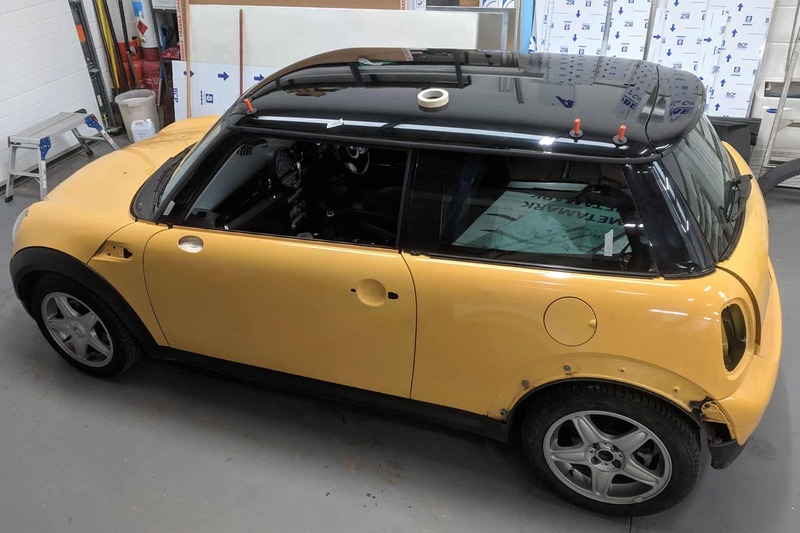 After thoroughly stripping and cleaning the yellow Mini, the printed Metamark MDX vinyl with gloss laminate was applied. 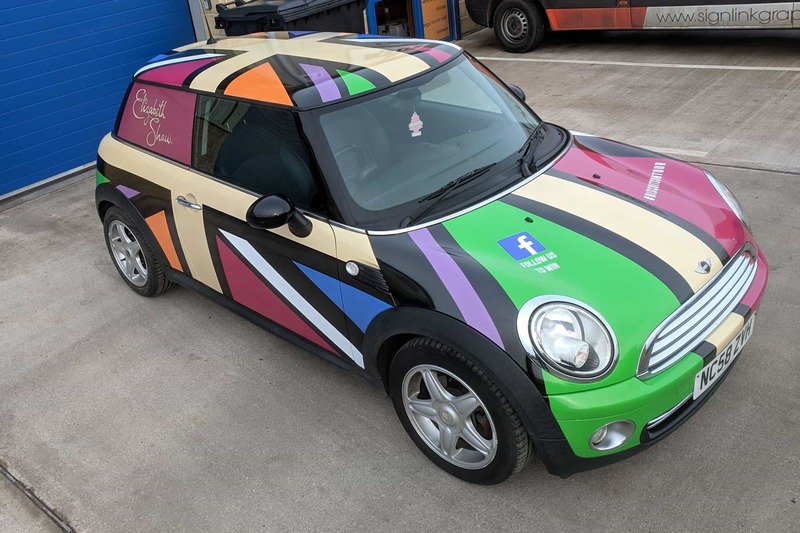 This was followed by printed 50:50 contravision on the rear glass and Oracal 751 cut vinyl to finish the Mini full wrap. 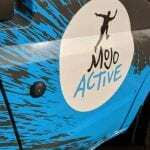 We regularly work with local or national marketing and design agencies on different projects, from vehicles to flat panel, window and point of sale prints. 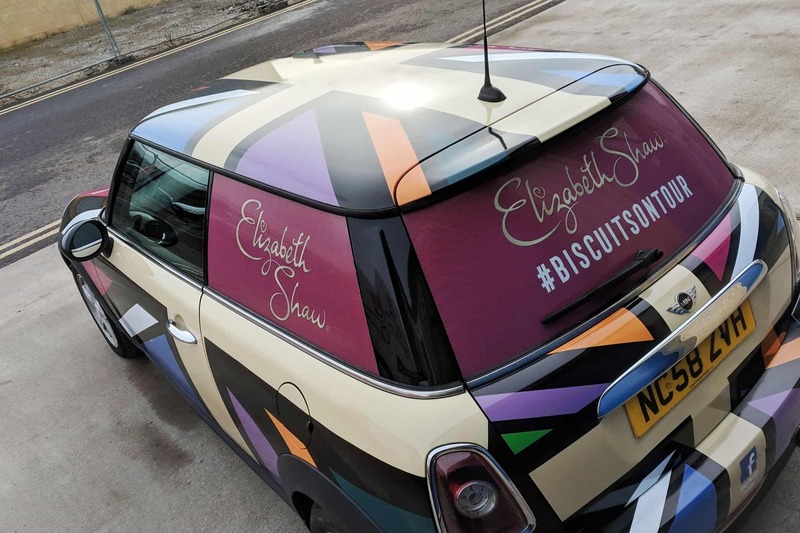 If you would like us to complete a similar project for your business, please contact us on 01684 276 808, email us sales@signlinkgraphics.co.uk or fill out the form on our contact page.